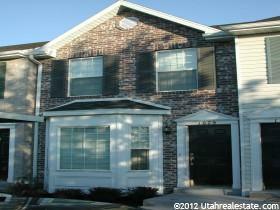 Do You Want to Sell a Provo Utah Condo? Pricing your Provo condo is not so simple. If you want to sell a Provo Utah condo or townhome we can help you. Market value is much more difficult to predict and the information available from friends, relatives, co-workers, or the internet, can be unreliable. Lenders, and other professionals play an important part in the process, but relying on their 'opinion' about the value of your home can be a costly mistake. You really need an experienced Provo Utah Realtor to help you know your condos value. A properly prepared CMA can take an hour, but is usually provided at no charge to the prospective client, providing a great opportunity to meet and get to know your Realtor. If you want to sell a Provo Utah condo you should have a member of Team Teasdale Realty prepare a CMA for you. Beware of agents looking to list your condo or twonhome in Provo without preparing a complete CMA, perhaps pulling a number out of thin air, or quoting some statistics without backing them up. You should hire a Realtor that is familiar with the Provo area. Many agents that are not familiar with Provo and may give you compaisions that are not accurate. In this short YouTube video above Paul Teasdale explains why an accurate CMA on your condo or townhome is important in determining value. Paul shows you an example of a FREE CMA he will make on your home. Paul also reviews the paperwork you will need when you sell a Provo Utah home. Information about the real estate purchase contract, addendums and the sellers property disclosures. If you've sold a car you had to find out what people were willing to pay for it, by checking the Blue Book or used car ads. After some quick research you set a price that potential buyers will find attractive. It's pretty simple and does not require any special expertise. However a CMA on a condo takes time and experience. The two most common methods to get a valuation on a Provo home is to hire an appraiser and pay $350 or get a FREE CMA analysis from a Provo Utah Realtor. A CMA is not an appraisal but it is an estimate on current market value. Get your FREE CMA if you want to sell a Provo Utah condo. Get a FREE CMA on What Your Condo is Worth if you want to sell a Provo Utah Home. If you are thinking of listing your condo in Provo Utah consider hiring Paul Teasdale. Paul has been selling condos in Provo Utah since 1995. Paul has sold over 1,100 condo and homes in Utah County. Paul will prepare a free market analysis on your condos value. What is your condo currently worth? List your home with a local Mapleon Utah Realtor. The CMA (Comparable Market Analysis) is the best way to determine the best listing price for your Provo home. CMA is the process real estate agents and brokers use to conduct an in-depth analysis of a home's market value in today's market, using closed transactions of comparable properties. If you want to sell a Provo Utah home contact Team Teasdale Realty.